Hartlepool Borough Council (HBC) have produced a draft local plan and wish to consult on this with residents. 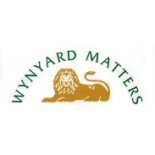 This plan affects ALL Wynyard residents. They will attend the June Grindon Parish Council (GPC) meeting. All interested residents are requested to attend. At least one WRA representative will attend. The meeting is at 1830 on Thursday 9th June. It is hoped that it will be held in the Wynyard Primary School on Wynyard Woods. Further updates to be posted to confirm. This entry was posted on May 12, 2016 by wrasecretary in Activities, Announcements, Meetings, Planning, Updates.